With a distressed Vintage Umber finish and Worn Black finished posts, this demilune (half-moon) console offers plenty of character. 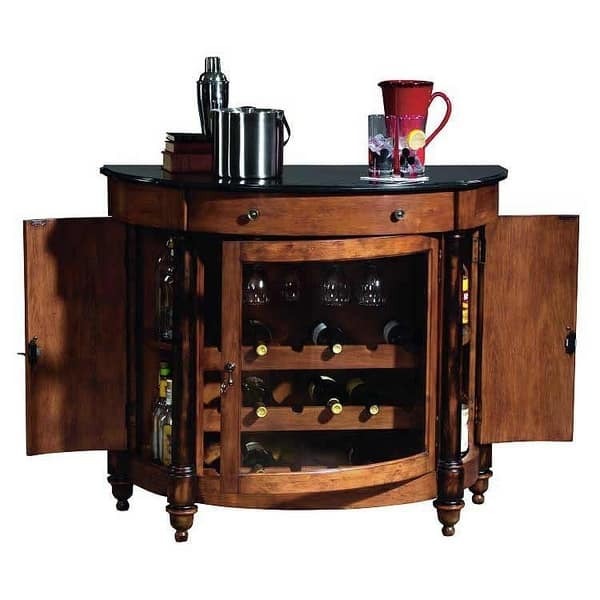 The black granite top offers an appealing surface for serving beverages or food. The center accessory drawer features dovetail construction with metal roller guides. The front door features curved glass. 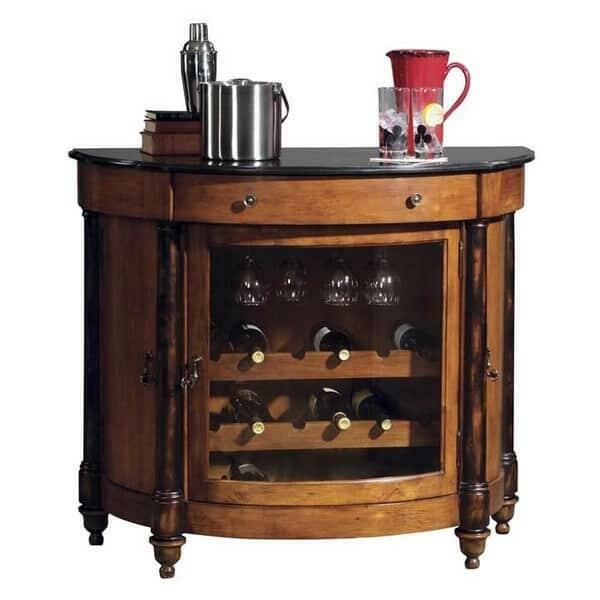 A wood wine rack with a capacity for 18 bottles and a wood stemware rack are included within the cabinet. The granite top is removable for easy handling. Adjustable levelers under each corner provide stability on uneven and carpeted floors. Locking door for added security.